The Flea Museum is a fansite dedicated to all things FLEA ukulele. 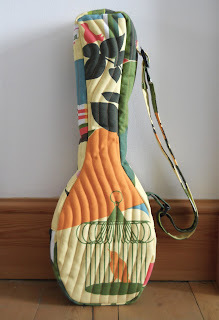 Last month they kindly ran a feature about the very first uke gig bag I made for my own Flea. 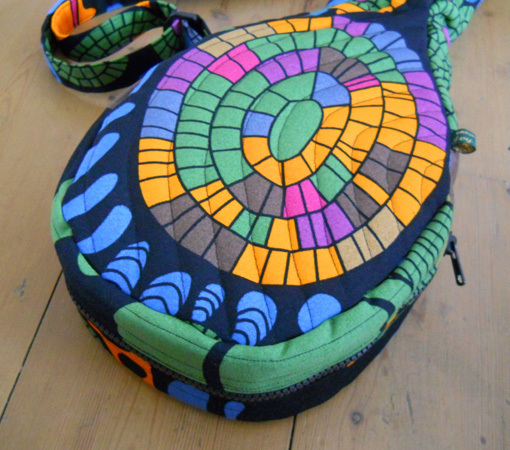 I promised Flea Museum readers I’d make some more Flea gig bags for the shop and here they are at last! 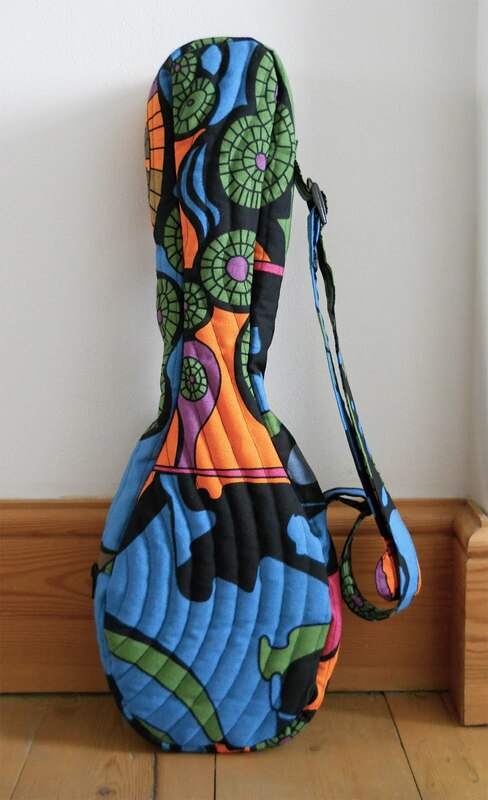 Both are made from Ikea furnishing fabric in glorious, bold prints. I love Ikea’s fabric designs and these two with their circular motifs seemed a perfect fit for the curves of the Flea. The psychedelic uke bag is made with mulitcoloured Saralisa printed fabric by artist Cilla Ramnek. The print reminds me of Heinz Edelmann's zany illustrations and hallucinogenic landscape of Pepperland in the Beatles' Yellow Submarine film. And you thought it was just a bright, cheerful gig bag. 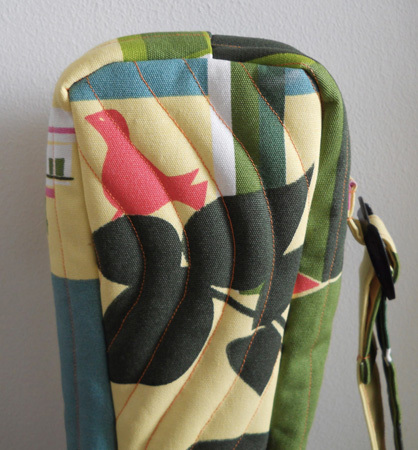 The yellow bird-cage fabric is by print designer by Lotta Kühlhorn. It's part of her Annamoa range for Ikea featuring designs inspired by different environments around Sweden. 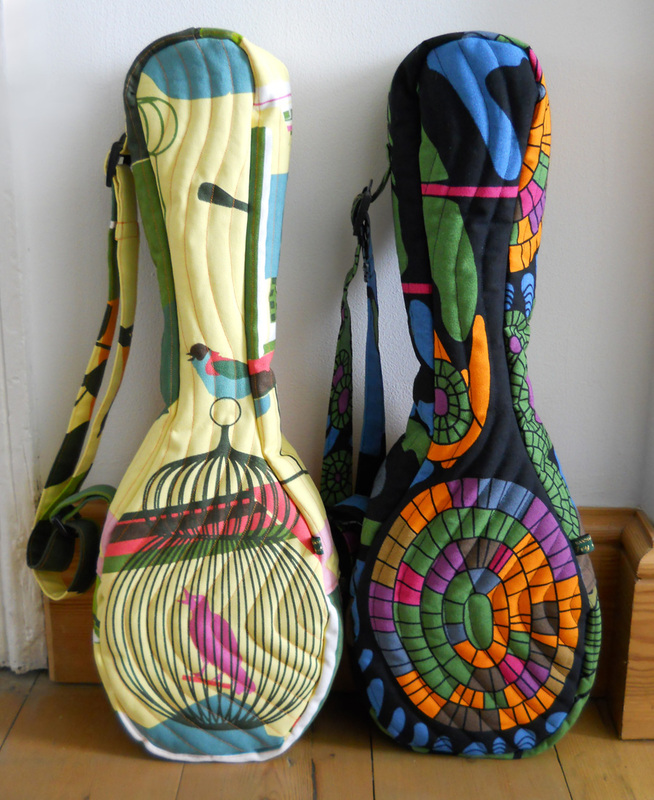 To buy either of these or to see my other Ivy Arch handmade uke gig bags, visit ukebag.com. You can read my interview with the Flea Museum here.